“I was a student at Auburn when the first real jumbotron went up. I asked a friend who worked for Facilities if he could snag me a part of the old scoreboard after it came down. A few months later, he pulled these out of the trunk of his car. 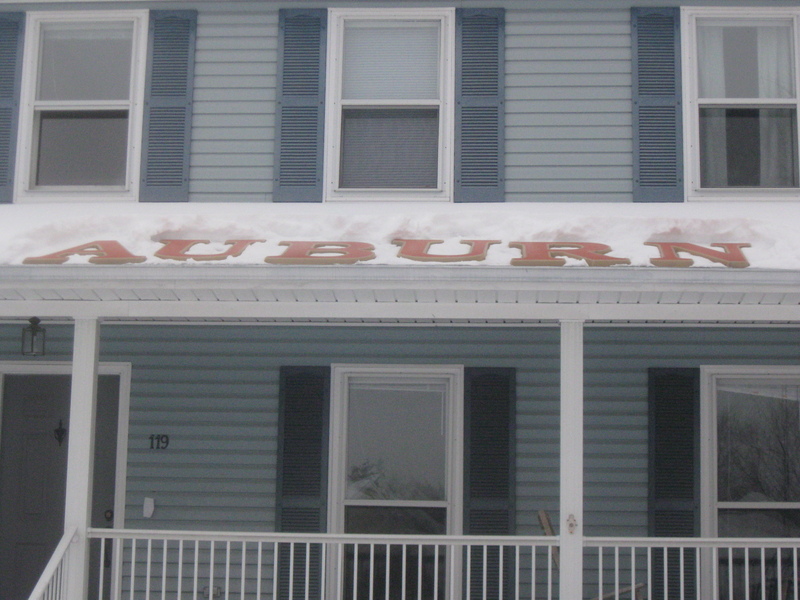 The day before the 2010 National Championship game, I decided it was time to properly display them on my roof. They were briefly covered up by the big snow that fell that night, but after brushing them off, the snow made them stand out even more. A picture of the snow-bound letters made it onto the front of al.com for a few hours before the game. My west coast and UA neighbors were not thrilled. My brothers have made me promise that these will stay in the family forever. 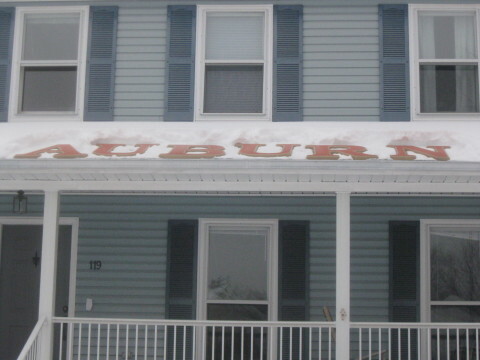 There are rare, hard to find Auburn relics and then there are truly one of a kind, no one else has it and no one else ever will Auburn relics. This is the latter. Proving that life is mostly about timing and who you know, Dan scored a treasure that will hopefully be passed down through his family for generations. 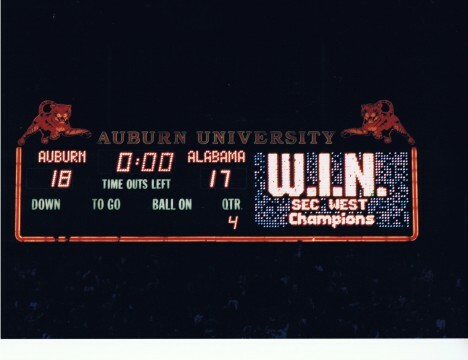 I remember that old scoreboard well and was in the stadium for that final game against Alabama. “W.I.N.” was the acronym for Bowden’s catch phrase for the ’97 season: “Whatever is Necessary.” It’s not as punchy as say, “AUdacity” or “AttitUde,” but it was the only one of his slogans to make it all the way to Atlanta. For a much more in-depth look at Auburn’s scoreboard history, check out part II of Van Allen Plexico’s fantastically comprehensive History of Jordan-Hare Stadium. In it, Van details the installation of this scoreboard and the ones that followed, including the new HD board that arrived in 2007. Now, if anyone knows what happened to those two pouncing tigers, I’d love to hear from you. If, as the saying goes, football is a religion in the south, then this belongs in one of its churches. I’ve seen stained glass lamps and nightlights available online, but nothing like this handmade beauty. 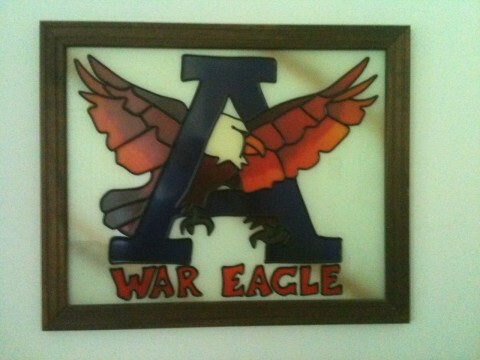 I did find one glass company in Arab, AL that will make stained glass from any pattern you bring them. They feature a lovely AU custom job on their site, thus earning a totally random plug from TWER (the next one will cost you). 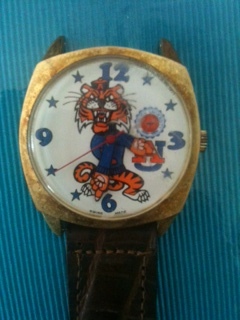 We’ve featured several Auburn time pieces before, but this is our first watch (the Shug watch deserved a pre-Relics post of its own). While it looks like it has been through as much as Butch’s watch in Pulp Fiction (well, maybe not that much), its face has held up well. It’s an angrier tiger (if that’s supposed to be Aubie, he needs a trim and a drink) than we usually see, but I love that his arms are the hands. There are a lot of Auburn watches available today, but nothing quite like this one. Cole, the former Auburn center and current Huntsville radio host, tweeted this picture out last week and has graciously allowed us to share it with our readers. 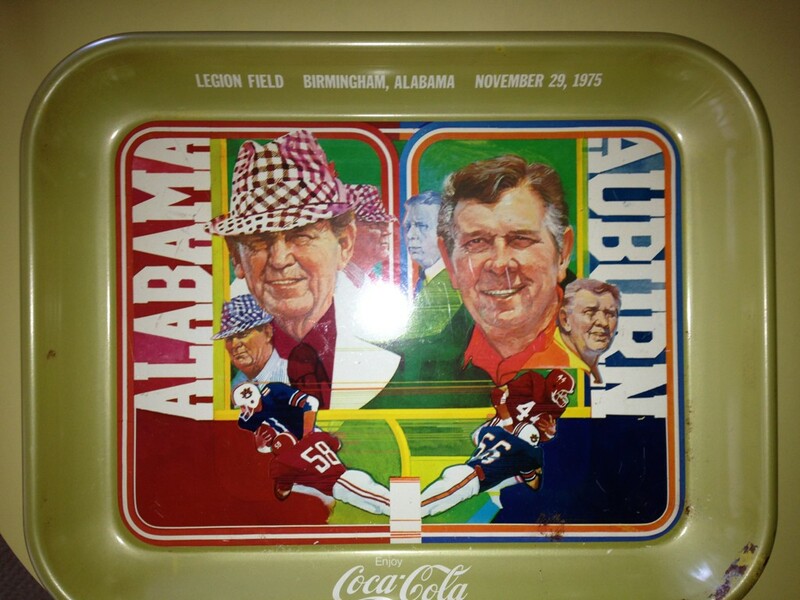 Someone else commented that this platter can be found in any antique store in the state of Alabama. If that’s the case, I might need to do a little antiquing when I’m back on the Plains. Unfortunately the game this platter commemorates was a 28-0 loss for Shug and his boys, the third straight in a streak that would reach nine. The game was also Coach Jordan’s last as Auburn’s coach, so there would be no more Iron Bowl platters featuring his grandfatherly smile to collect after this one, making it a relic to hold onto despite the outcome of a single game. 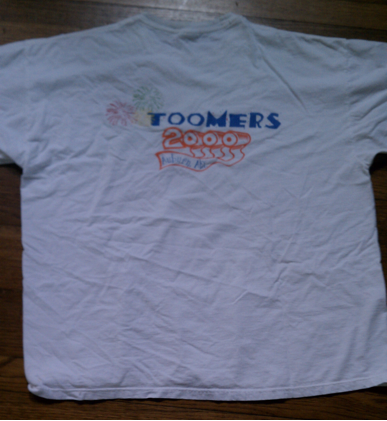 Preston provided us with this pic of a shirt from the Toomer’s Corner New Year’s Eve celebration that features a nice use of toilet paper rolls for the zeroes (but no trees). Our own Jeremy Henderson gives us his recollections of the actual night. Before signing off for this week, I had to take a moment to honor the memory of Aubie creator and War Eagle Relics favorite Phil Neel, who passed away Wednesday at the age of 84. This particular program is about two weeks older than I am and I only wish I’d aged as well. Neel’s gift to Auburn will live on for generations to come. War Eagle Forever. 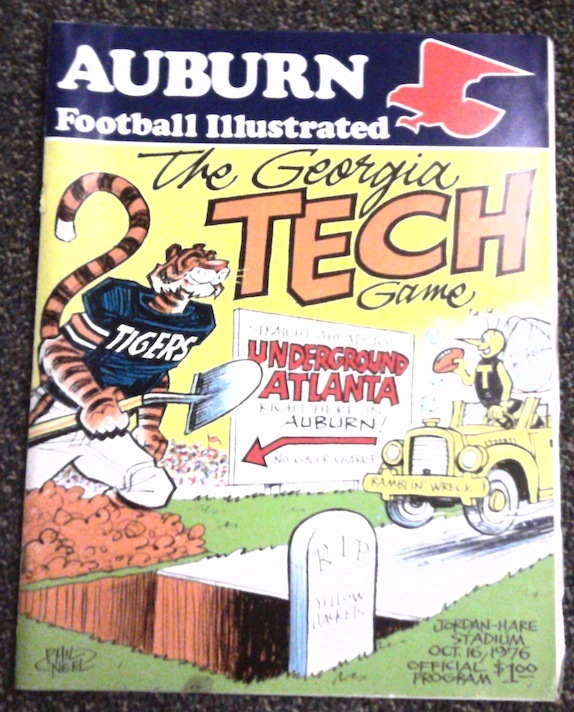 Previously: Let War Eagle Relics Be Your Guide. I think every household in the state had one of those trays in the 1970s. 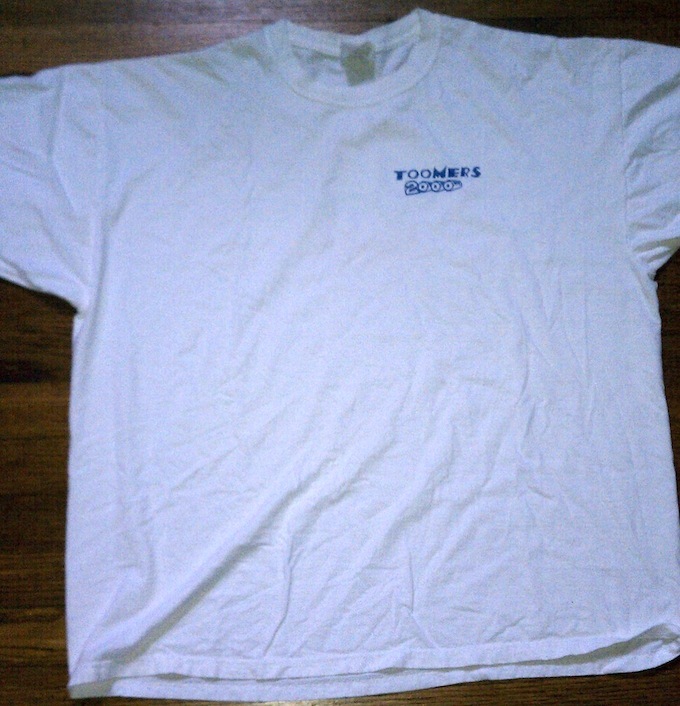 You can find a handful of them on eBay at any given time for around $10. I have that same platter too, picked it up at Angel’s Antiques in Opelika, on my way back from our honeymoon with the wife. Unfortunately she’s an Alabama fan, so the platter made a nice buy for the both of us. I got the stained glass eagle at a Fairhope arts & crafts festival in the 80’s. At least we know it’s not one of a kind. Mine is hanging in my classroom where I teach.